Is there a better alternative to Quick Biz Cards? Is Quick Biz Cards really the best app in Designs and Graphics category? 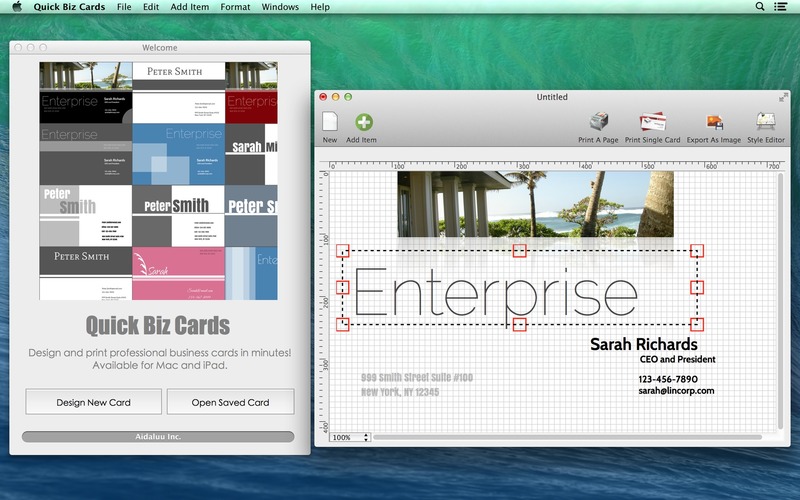 Will Quick Biz Cards work good on macOS 10.13.4? Quick Biz Cards lets you design and print professional business cards in minutes! This edition supports the most popular 10 business cards per sheet templates. Quick Biz Cards needs a review. Be the first to review this app and get the discussion started! Quick Biz Cards needs a rating. Be the first to rate this app and get the discussion started!